As lesbian, gay,bisexual, and transgender (LGBT) youth come out at younger ages, finding an LGBT-friendly college or university is high on their priority list. 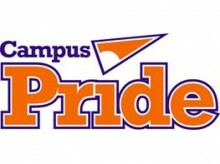 Fortunately for these prospective students, Campus Pride and Huffington Post have already done the research for them, announcing today the 2012 “Top 25 List of LGBT-Friendly Colleges and Universities.” The list is based on data from the Campus Pride Index, which rates colleges and universities based on LGBT-friendly policies, programs, and practices. Campus Pride’s 2012 Top 25 LGBT-friendly Colleges and Universities include (in alphabetical order): Carleton College; Cornell University; Emory University; Indiana University; Ithaca College; Oberlin College; Portland State University; Stanford University; The Ohio State University; The Pennsylvania State University; University of California, Berkeley; University of California, Los Angeles; University of California, Riverside; University of California, Santa Barbara; University of Chicago; University of Illinois at Chicago; University of Maryland, College Park; University of Massachusetts, Amherst; University of Michigan; University of Minnesota-Twin Cities; University of Oregon; University of Pennsylvania; University of Utah; University of Vermont; and University of Washington. Posted August 22nd, 2012 & filed under News.